Members of the new Shamrockbotics Club aren’t taking weekends off. On Saturday afternoons, the loud whir of a drill and clanking construction can be heard coming from a classroom within Westfield High School. Members of the club train for seven hours each Saturday to prepare for an upcoming competition – their first as a club. The club allows student participants to spend time building a robot and then use it to compete against other teams. It also teaches various aspects of community outreach. A group of six adult mentors, five of which are alumnus to the FIRST Robotics (For Inspiration and Recognition of Science and Technology), learned there wasn’t a FIRST Robotics group at WHS, so they decided to change that. “A lot of us live up here and knew the impact it had on us as students, and we wanted to make sure Westfield students had that opportunity, too,” said Hannah May, a mentor and alumna of FIRST. Carmel, Noblesville and other nearby areas all have FIRST Robotics teams. Competition themes for the year are estbablished in January. Students have six weeks to build a robot. They then have to cover their robot before the competitions begin mid-March and troubleshoot without working on the robot and watching competition webcasts. They have one, six-hour window to allow for changes to the robot sometime prior to the competitions. For this year, competing clubs will be with teams of three and must move cubes to a teeter-totter mechanism to get it to tip to that team’s side to win. 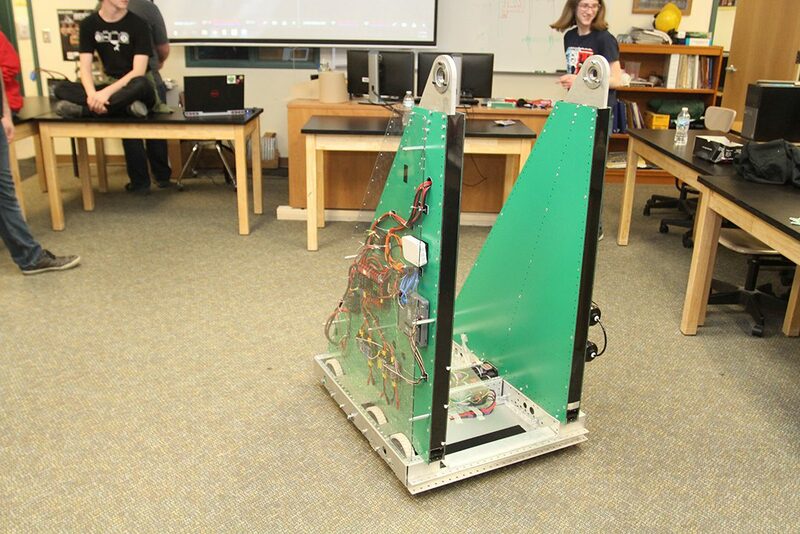 Since Shamrockbotics is a new club, students had to raise $15,000 from scratch for their budget. The money is used for materials to build the robot and cover travel costs to and from competitions. The club received a $5,000 NASA grant and a $5,000 FedEx grant. Students used what they call their “culture projects” to split into teams addressing community outreach, marketing, website creation and more. The culture projects help with more than fundraising. 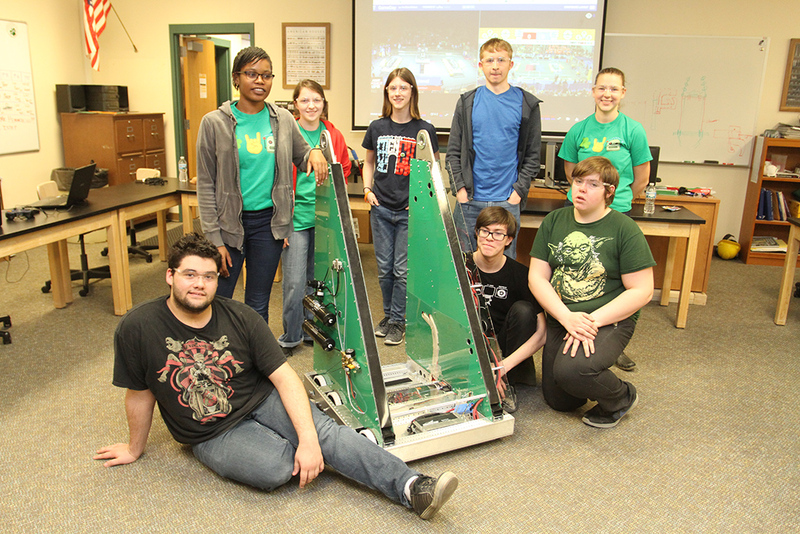 They allow students to plan a variety of events educating the community on FIRST and WHS’s Shamrockbotics Club. There is no age requirement for the co-ed club. Members range from freshmen to seniors. Clary said she’s proud of the girls taking part in a STEM-related program. Before joining the club, Clary didn’t know how to use a drill. For more, visit the Shamrockbotics Facebook page. The Shamrockbotics had its first competition March 10-11, but due to publishing deadlines, the results were unknown at press time. Its next competition is March 24-25 at Plainfield High School. Admission is free and open to the public. Approximately 36 teams from across the state will compete. Each team competes in 12 matches. If Shamrockbotics wins its district competitions, it could advance to the state competition and then the world competition, which is being held in Detroit, Mich., later this year. 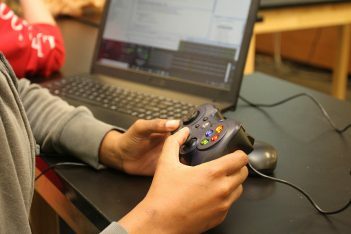 For more about the FIRST Robotics organization, visit firstinspires.org.